Year after year, the command of retail continues to interest customers. Although numerous consumers are now taking advantage of online deals, the experience a shopper has when they have the product in person is still highly influential. Studies show that 25% of consumers purchase a product or service after they have searched locally. In fact, 18% of these purchases are made within one day according to the infographic below from Store Traffic. Nonetheless, the influence the internet has over shoppers is intriguing. This can be seen both in the way customers shop and how businesses operate. The landscape of retail has drastically changed. 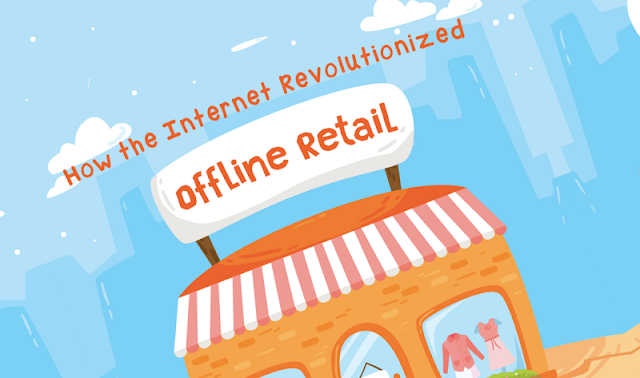 This graphic gives us a summary of how, since its inception, the internet has continued to dominate the shopping experience. It highlights the importance of innovation – if your business does not have at least one digital element in it, you may be left behind! Emerging trends such as the Internet of Things will help to shape the future of retail. Soon, simply having a company website will not be enough. Without social media channels, many businesses are failing to connect with a large portion of the population. Want more details? Keep reading the infographic below for more! Do you think the internet has effected retail in a good way or a bad way? Let us know your thoughts below!